The Vancouver Condo Buzz » EXCITING LAUNCH at Burnaby’s CONCORD BRENTWOOD Hillside West Phase 1 Condo Release! 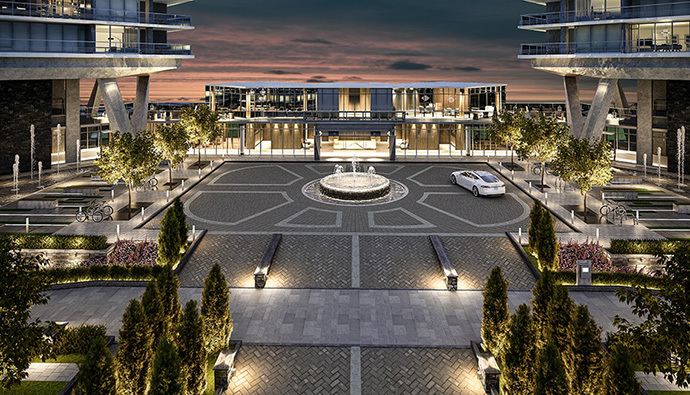 A massive development project is almost underway in the exciting Brentwood Burnaby real estate district. Brought to you by leading developer, Concord Pacific, the new Burnaby Concord Brentwood condo master plan will consist of multiple high-rise towers and a very large urban park. 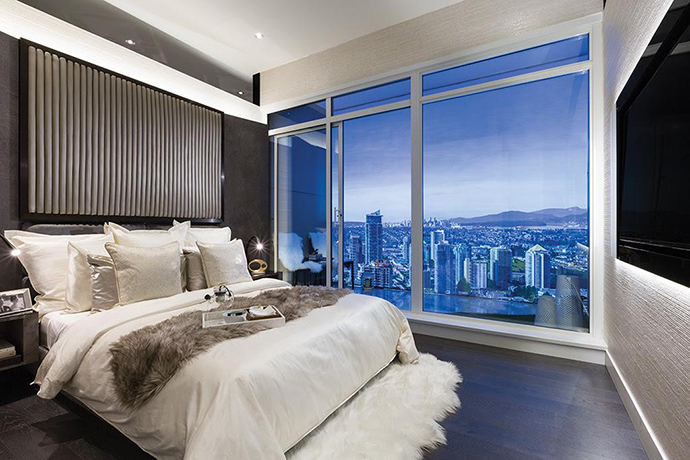 In early summer 2016, the Phase 1 Concord Brentwood condos will be launching for presales and it will give us a first glimpse of this massive undertaking. 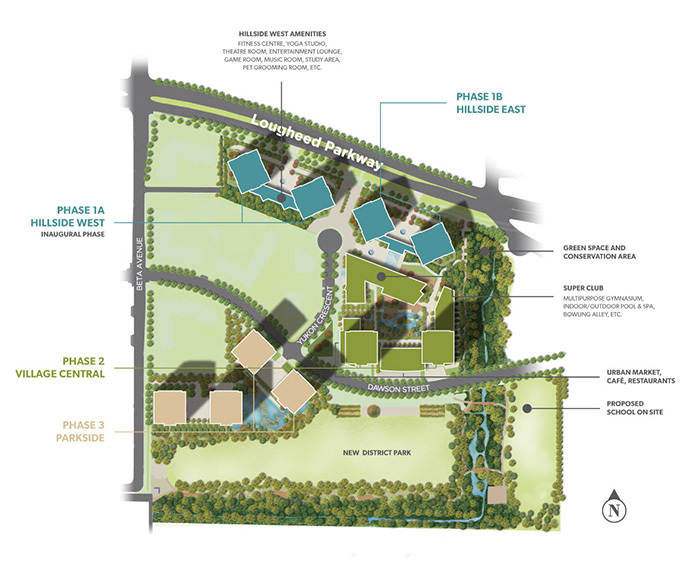 The first project will be Hillside West at Concord Brentwood (which is considered Phase 1A). Strategically located in the heart of Brentwood, this new tower will present residents with an incredible array of community amenities including a brand new Village Central shopping arcade on site. Here, you will find a new grocery store, parkside cafes/eateries and much more. In addition, you’re just minutes walk from parks, the SkyTrain Station as well as many mass transit routes. Phase 1 Concord Brentwood Hillside West Burnaby condos will also be within minutes from Willingdon Avenue and Lougheed Highway junction. You’re only 8 minutes from Lougheed Town Centre, 5 minutes from the Brentwood SkyTrain Station (walking distance), 15 minutes to Metrotown, 8 minutes to Commercial/Broadway and 18 minutes to downtown Vancouver. The Hillside West Burnaby Concord Brentwood condos will also be 31 minutes to UBC via VCC/Clark and 55 minutes to YVR (Vancouver Aiport). From schools to shopping and from dining to community centres, the Hillside West Burnaby condos at Concord Brentwood have it all! If you’re interested in learning more about the Phase 1 Hillside West Condos at Concord Brentwood, please register your interest on this page. 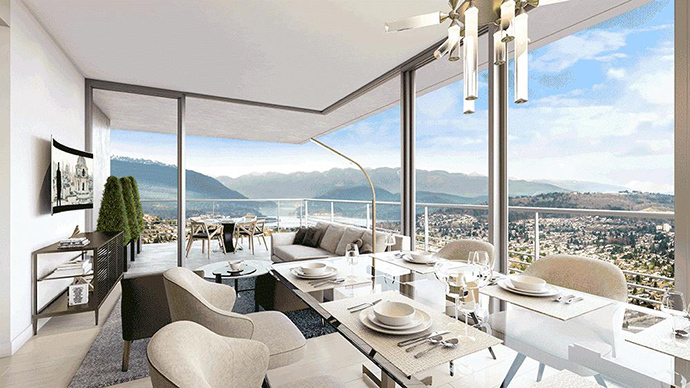 When complete, Concord Brentwood will become the largest parkside condo community in Burnaby. Refined Luxury on Every Level! Arrive home to a grand motor court. Step into the stately 2-level glass pavilion where the Central Concierge Lobby and a collection of premium amenities await. The SKY COLLECTION suites at Hillside West, the inaugural phase at CONCORD BRENTWOOD, offer expansive views, spacious interiors, refined finishing, premium BOSCH kitchen appliances and central heating and cooling. Double sliding doors in select 2 bedroom & den and 3 bedroom suites seamlessly integrate the living space and balcony for a refreshing indoor-outdoor experience. 5 minutes stroll to the Brentwood Town Centre Shopping Centre and SkyTrain, access to anywhere in Metro Vancouver is within easy reach. Starting on the 33rd floor. 2 bedroom & den and 3 bedroom suites ( 977-1239 sq. ft.) priced from $880,000. From Vancouver’s trendy Yaletown to Toronto’s stylish Lakefront and beyond, Concord Pacific has been transforming desirable communities and spectacular skylines in major Canadian cities over the past few decades. Our latest masterplan, CONCORD BRENTWOOD has now arrived in Burnaby. As a major part of the Brentwood Town Centre redevelopment, CONCORD BRENTWOOD is a vibrant, sustainable and livable community anchored by a beautiful 13 acres urban park and Village Central with cafes, restaurants, urban market and other retail convenience. Super Club amenities and a proposed new school will also be incorporated in future phases. The inaugural phase, Hillside West, is now selling. We would like to welcome you to our 10,000 sq. ft. brand new presentation centre at Metrotown and discover the long list of features and advantages of this outstanding project. Homes at CONCORD BRENTWOOD feature central heating and air cooling as well as 8’8” ceiling. A pair of double corner sliding doors that leads to the balcony in select 2 and 3 bedroom homes provides an expanded indoor-outdoor living experience. Fully integrated Bosch kitchen appliances, engineered-quartz countertops, marble floors and walls, and wood grain laminate finish for closet organizers, door trim, and interior suite doors are offered in every home. Making history, CONCORD BRENTWOOD will be the first community of its scale in Burnaby to have EV charging facilities for every residential parking stall. Residents also have access to an electric vehicle car-sharing program. Other future-proof features include a building-wide water softening system, high-speed tower elevators & parkade shuttle elevators, automated car wash and intelligent thermostats in every home. Luxurious amenities including 24/7 concierge services, fitness centre, theatre, music room, entertainment lounge, study room and pet grooming room are located in the central lobby & glass pavilion overlooking a beautiful landscaped arrival courtyard. Imagine living next to 13 acres of park and green space, direct access to endless amenities and your building concierge, a future Village Central which will host Concord’s signature Super Club, a new urban market, cafes, restaurants and other service-oriented commercial retailers. Concord Brentwood offers owners all the lifestyle and urban amenities you ever wished for, envisioned in partnership with award-winning masterplan and landscape architects James K.M. Cheng, Walter Francl and Chris Phillips. All these elements enable a balanced lifestyle, an urban haven that you’d love to call home. The inaugural phase at this new Burnaby condo project will be in the north west side of the site plan. Called the Phase 1A Hillside West at Concord Brentwood project, there will be two highrises borderd by Lougheed Highway and accessed by Beta Avenue or Yukon Crescent. 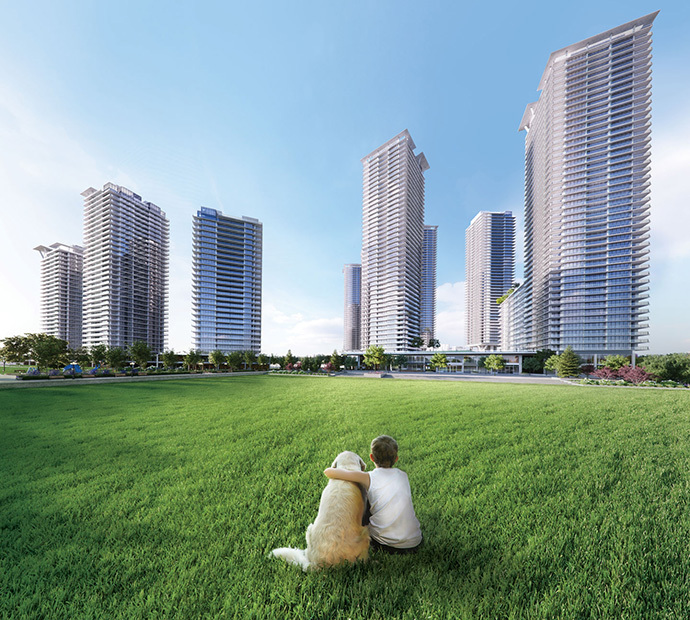 Phase 1B will also feature 2 more condominium towers called Hillside East (just east of Phase 1A). Phase 2 is called Village Central at Concord Brentwood Burnaby and it will consist of the site that is in the middle of the development area (bordered by Dawson Street and Yukon Crescent). 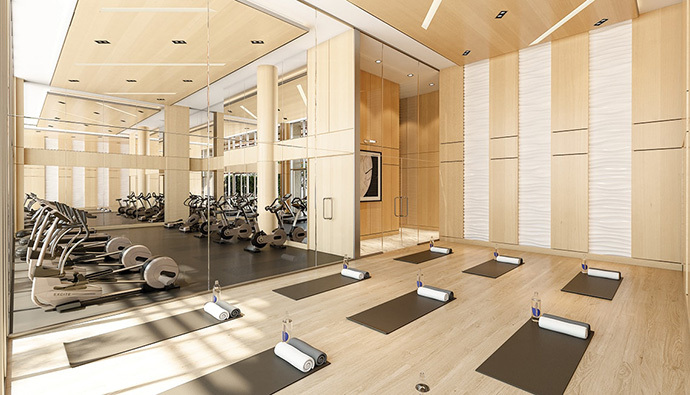 The Concord Brentwood Super Club is a huge amenities building that includes a multipurpose gym, indoor/outdoor pool and spa, bowling alley and much more. Village Central is also where residents can find the new urban market, cafes and restaurants. 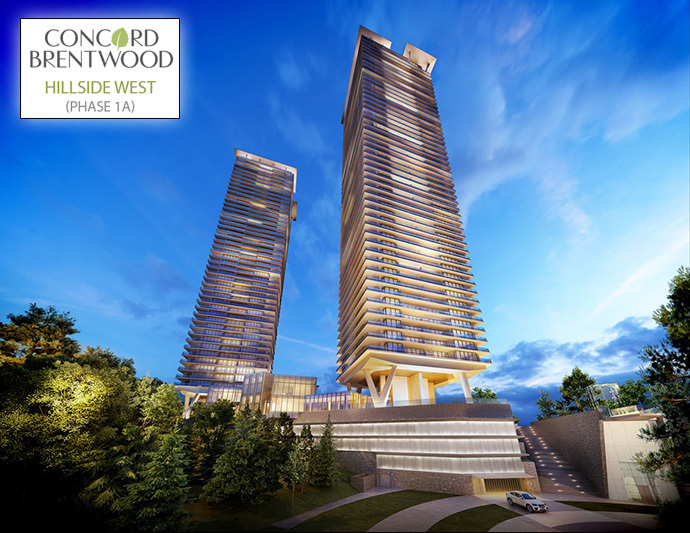 Last but not least is Phase 3 Parkside at Concord Brentwood which will feature 4 more high-rise residential towers in the south west corner of the development just north of the new urban park. On the east side of the site, there is a green space and conservation area in addition to a proposed school. The inaugural phase, Hillside West Concord Brentwood, is closest to the SkyTrain station on the South side of Lougheed Parkway. The section of Lougheed between Beta Avenue and Holdom Avenue will transform into a pedestrian and cyclist friendly green pathway, giving it a parkway like character enhanced with four rows of lush trees, ornate shrubs and ambient street lighting. Residential towers are elevated three storeys above the ground on spectacular structural forms as well as architectural details. 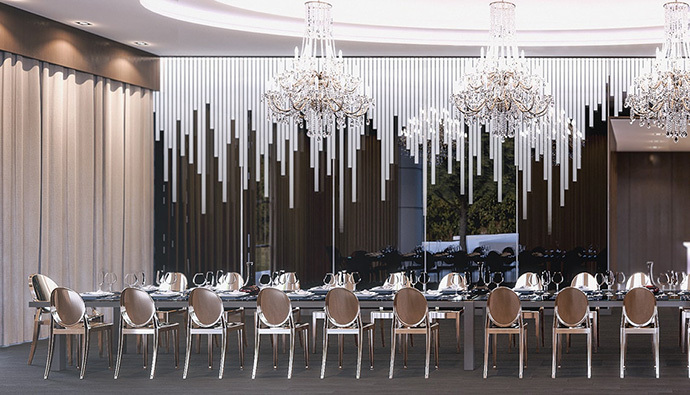 This design feature is intended to allow for an airy open space below for a beautiful landscaped motor courtyard and a 2 level glass pavilion with a central concierge lobby and amenities that connects to the two residential towers. The Concord Brentwood Hillside West central lobby concierge and entrance will be both grand and beautiful as you can see from the draft rendering. In addition, the Hillside West condo towers at Concord Brentwood Burnaby will also feature many onsite amenities including a fitness gym with yoga studio, entertainment lounge, multi-purpose games room, theatre room, music room, study room and even a pet grooming room! Not many details have been released about the Phase 1 Concord Brentwood condo floor plans. All we know is that there will be a great variety of floor plans between 1 bedroom to 2 bed plus den layouts. There are also 3 bedroom Burnaby condo floorplans available. The smaller of the units would be Plan A1 which is 535 square feet plus 188 square foot exterior living space. They are located from floors 3-44. Plan D2 at Hillside West Burnaby condos is a 2 bedroom and 2 bathroom layout at 732 square feet and a massive 333 sqft outdoor living space. It’s located on floors 3-32. Plan E2 is a 2 bed plus den and 2 bathroom layout at 977 square feet plus 392sf outdoor living space. It’s on the southwest corner and on floors 33-44 only. Last but not least is Plan F1 which is a family sized 3 bedroom plus 3 bath home at 1239 square feet plus 375sf exterior living space. It’s located on the north east corner on levels 33-43. Check back for more details. At the heart of this master planned community is a 13 acre district park. The park will be engaging with the surrounding community including open field space, seating areas, children’s play area, water features and at the eastside of the park will be a proposed elementary school. INTEGRATION & PRESERVATION: The community site is currently bounded on the East and South by the existing Stickleback Creek and its tributaries. The Riparian Area includes a watercourse, a special natural feature of the community plan and truly unique to the neighbourhood. This area will be preserved and enhanced with low impact trails and pathways within a naturally vegetated area, further connecting the urban and natural elements of the Brentwood Town Centre neighbourhood. Living in a walkable and transit-oriented master planned community definitely has its perks! Everything you need is already here including Brentwood Mall (which is undergoing a massive renovation and expansion project), commercial retail and office space, Whole Foods Market, Shoppers, CostCo, JOEY restaurant, Save-On-Foods, Vancity and many restaurants, banks and coffee shops. As well, the Hillside West Concord Brentwood Phase 1 condos in Burnaby will feature a close proximity to the future Gilmore Station redevelopment site as well as current highlights that include Steve Nash Fitness Club, Executive Hotel & Conference Centre, Staples, White Spot and Cactus Club. There is also a proposed school site to the south of Concord Brentwood Burnaby condos, in addition to a new urban park and the green space and conservation area. The Central Valley Greenway is within 5 minutes walking distance as are Springer Park and Andrew Leong Green Trail.